Hello there. I am Hilal Coşkun and I’m a designer from Turkey. 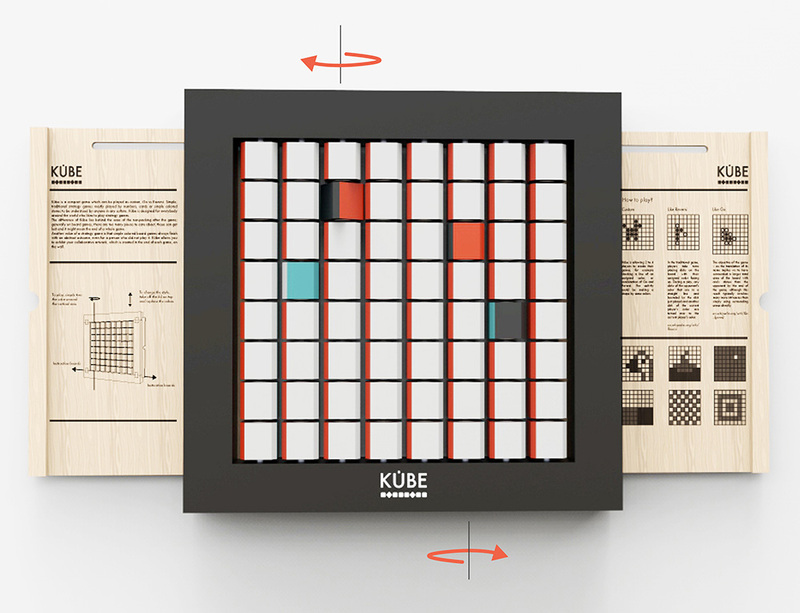 For a design competition with the theme ‘play’ I designed Kübe, an abstract game that you can exhibit on your wall after playing. The design brief inspired me to dive into the world of non-digital games. I did a lot of research on the anthropology and physiology behind themes such as ‘playing’, ‘games’ and ‘toys’. 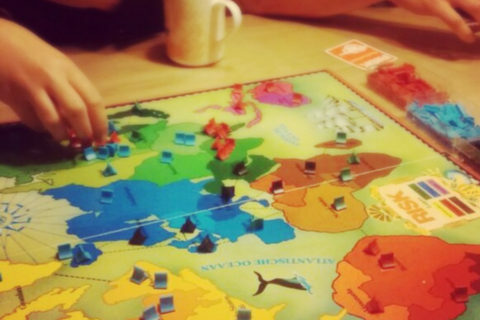 As an outcome of my research I can say that games help us to better understand our world and that they are essential for our individual improvement. 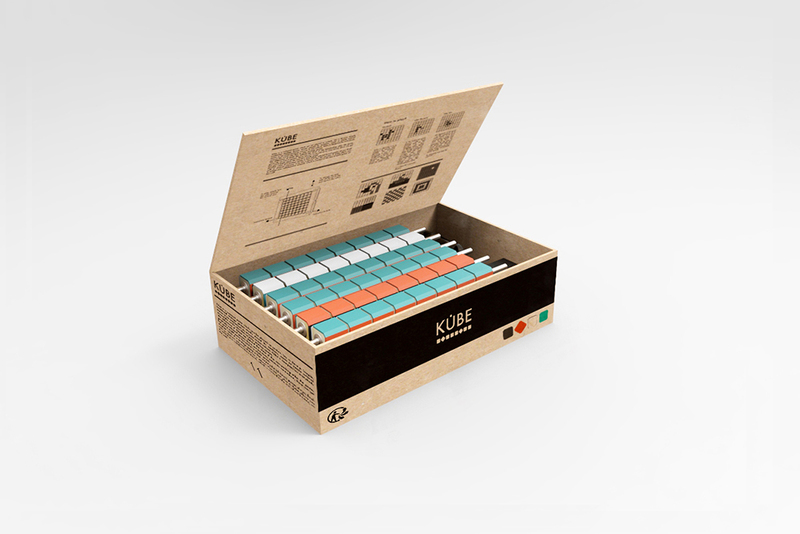 For Kübe I was inspired by abstract strategy games, because these kinds of games are mostly played with numbers or simple colored stones, and they are often easy to understand by anyone from any culture. 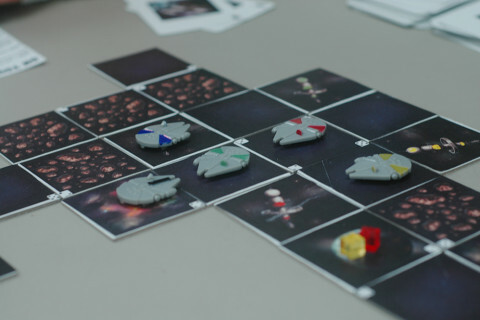 The most important part of the design came from my experiences with board games. A major drawback of board games is that they often consist of many different small game pieces, which get lost easily. That means that you have to find replacements or throw the game away. Kübe has been designed to solve this problem. 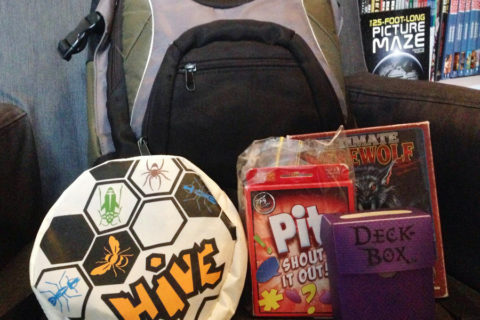 It is a compact game, which has no need to be packed after playing it. Instead, the game allows you to exhibit your artwork—in collaboration with your opponent—on your wall! The mechanical part of the game is based on hollowed cubes that are held together by sticks. Each cube—with a length of 3cm—has four different colors on its sides. Before you start playing you need to rotate the playing surface to a chosen color. 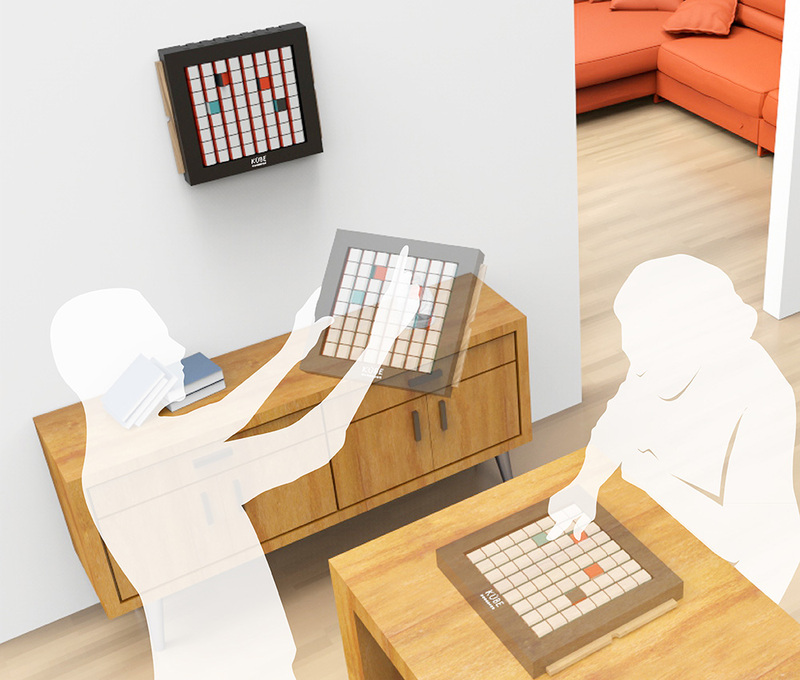 There are various kinds of games that you can play with Kübe, for example Go or Reversi (with 2 players). The design also allows you to create your own games. 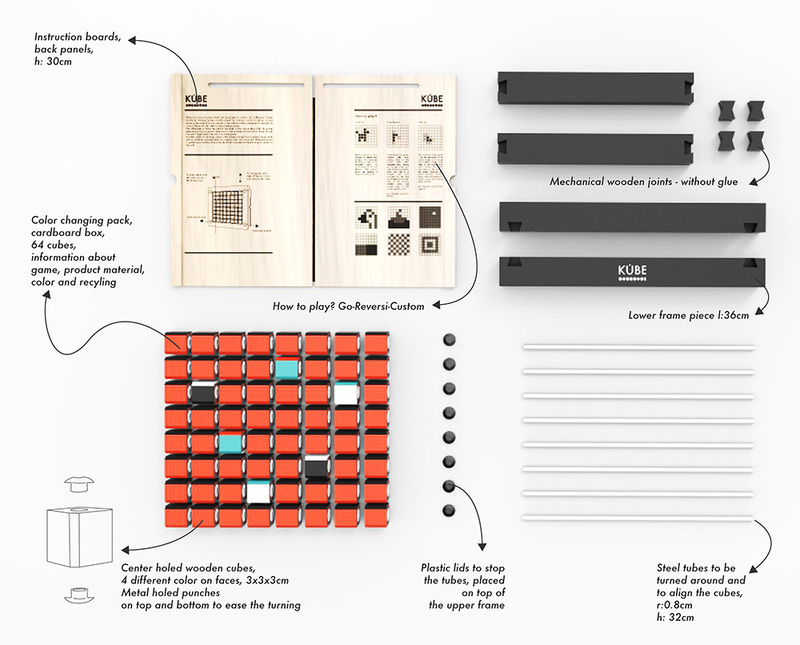 Kübe doesn’t need any glue to connect the frames and is therefore easy to assemble. Optionally you can change the cubes thanks to the holes on top. 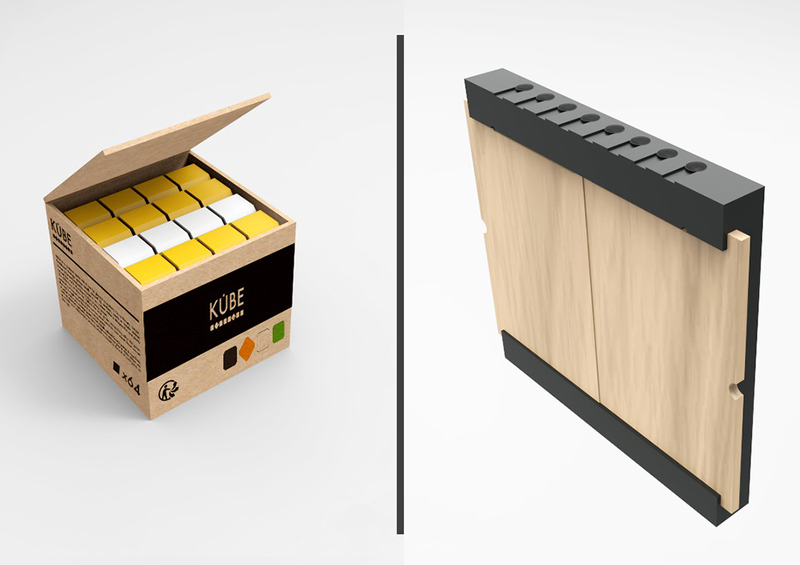 I would like to thank Irmak Özkan and Funda Özkan for their precious ideas, which led me to come up with Kübe. Fascinating idea. Where can I get this game? What a great concept! And nice renders! This is amazing, it can combine different games in a single board. The idea is very brilliant, thanks for sharing.